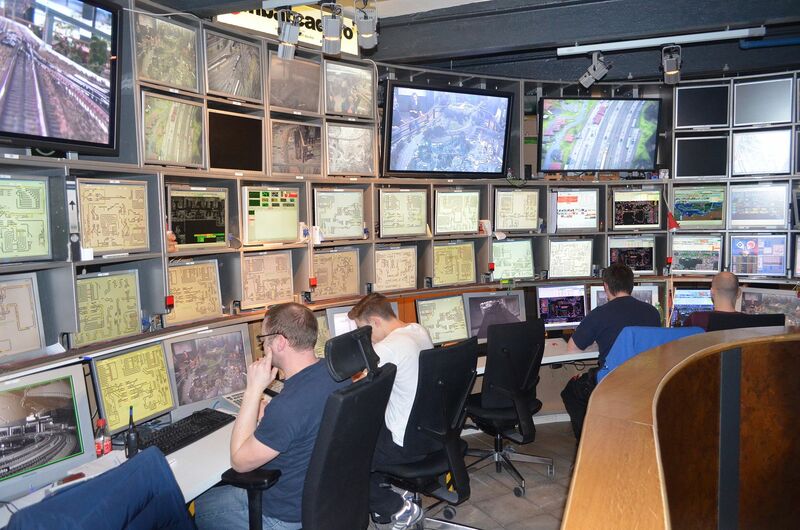 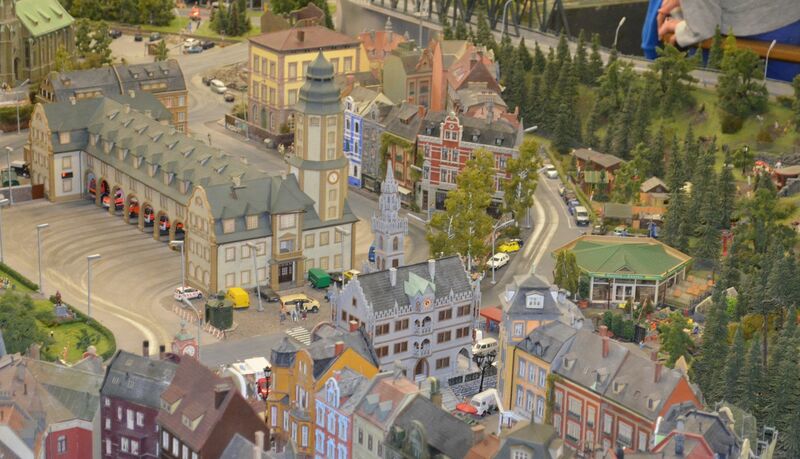 Whilst in Hamburg for the Tactica event we took asdvantage of our stay in the city to visit the world famous Miniature Wonderland. 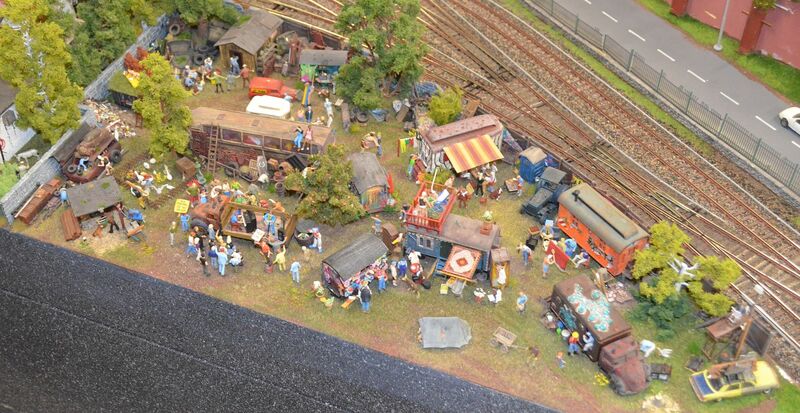 This has to be the ultimate in Railway Modelling. 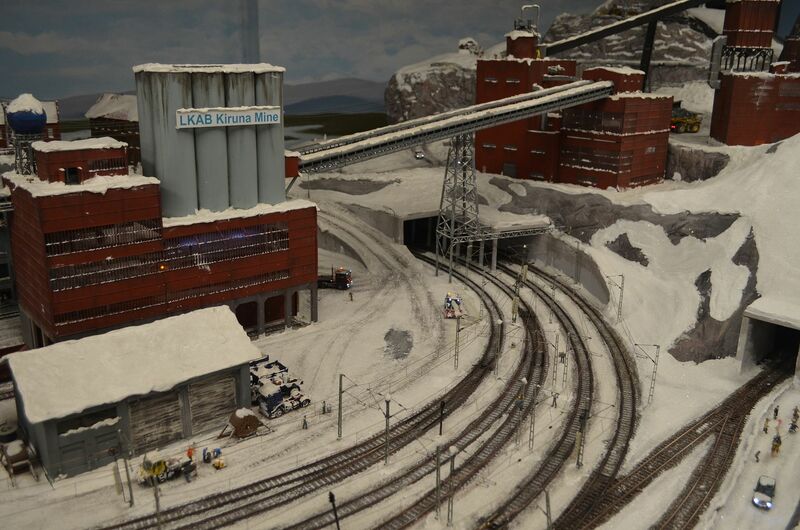 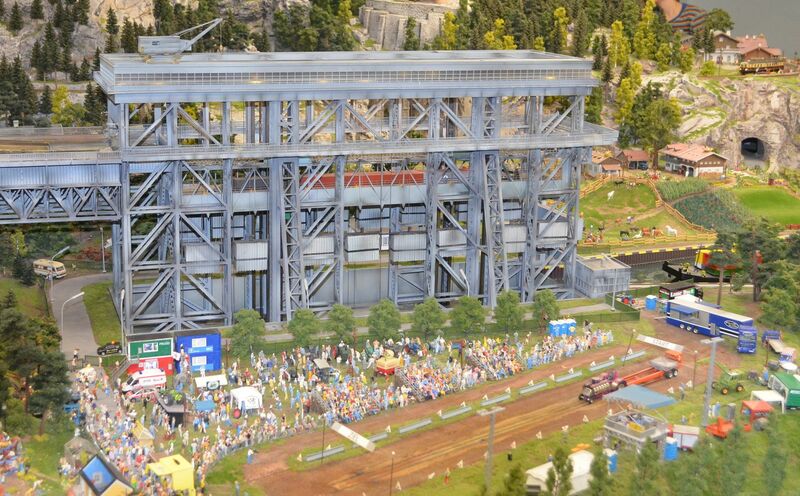 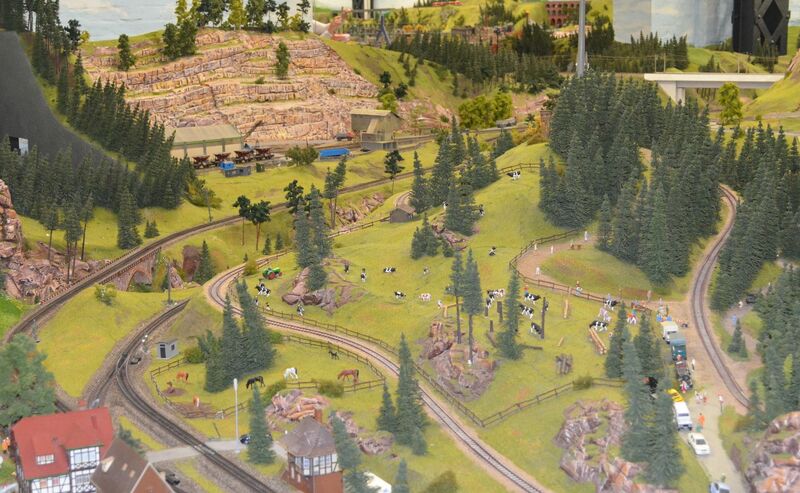 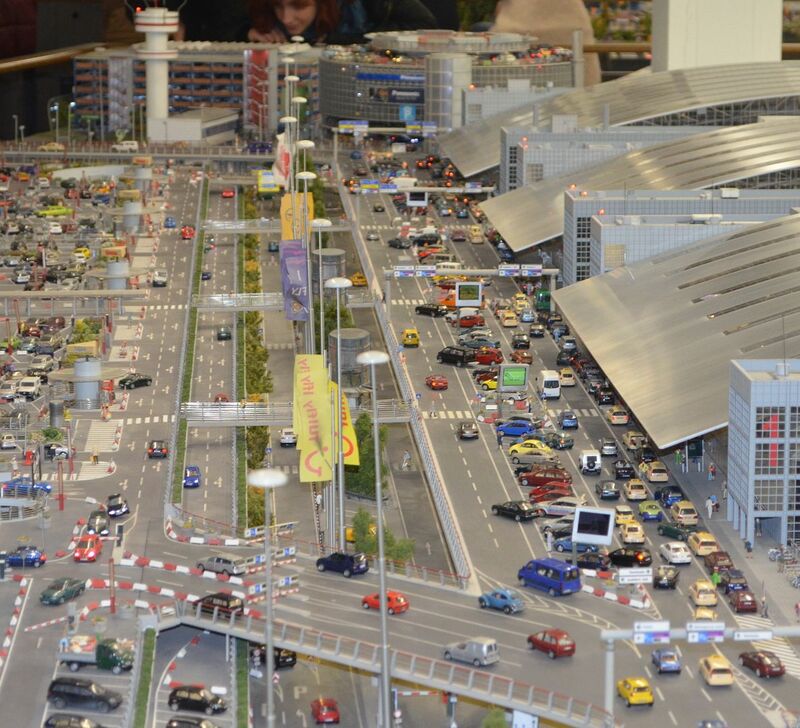 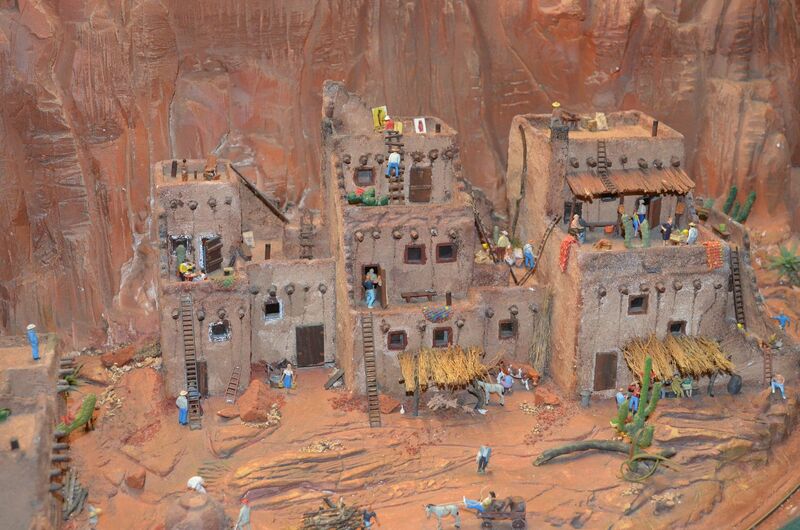 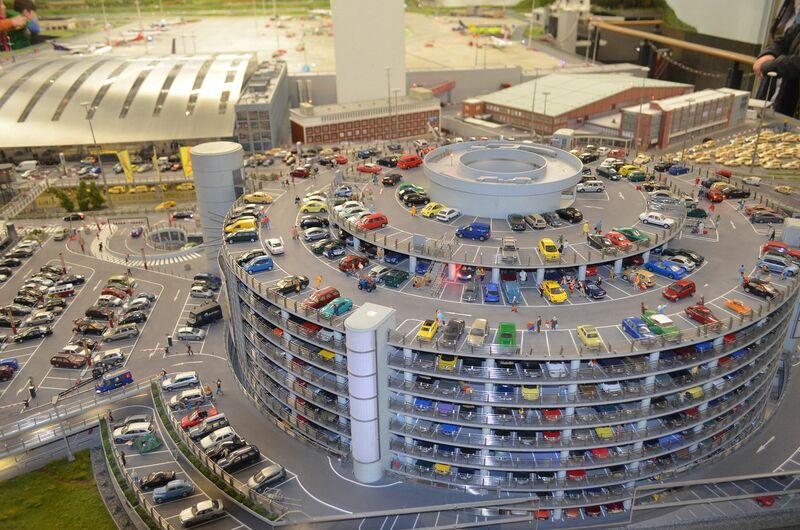 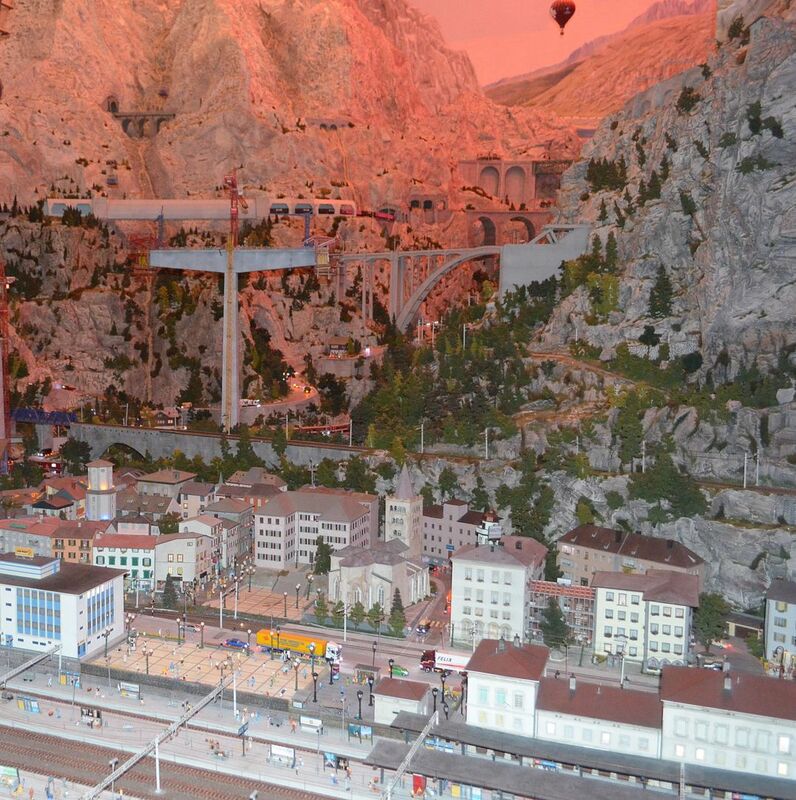 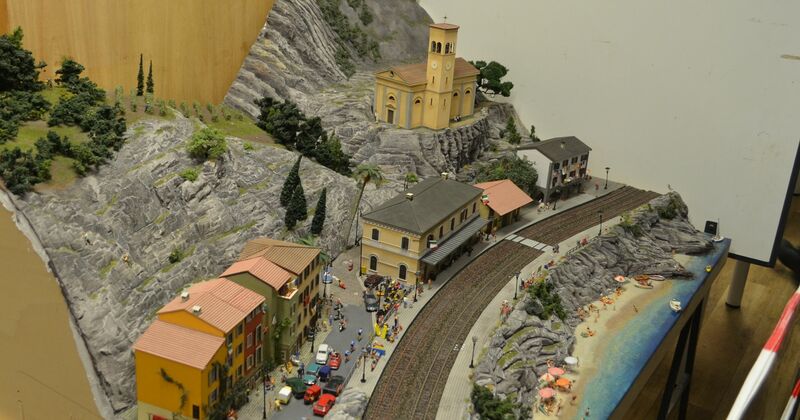 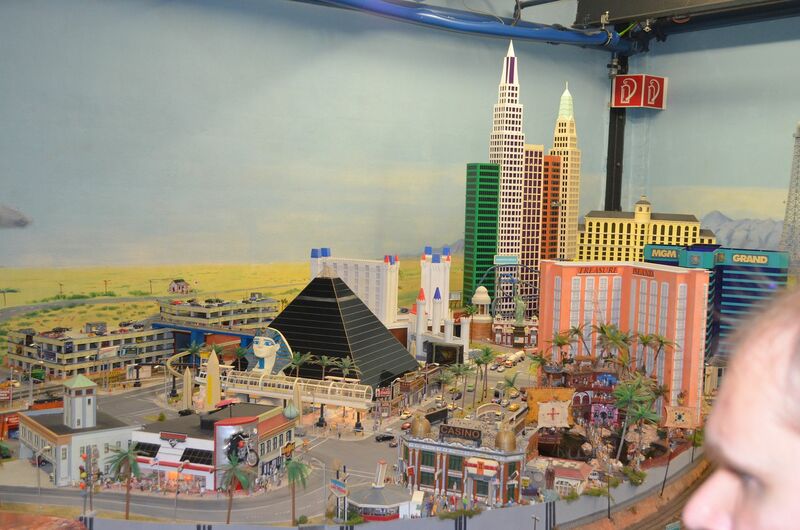 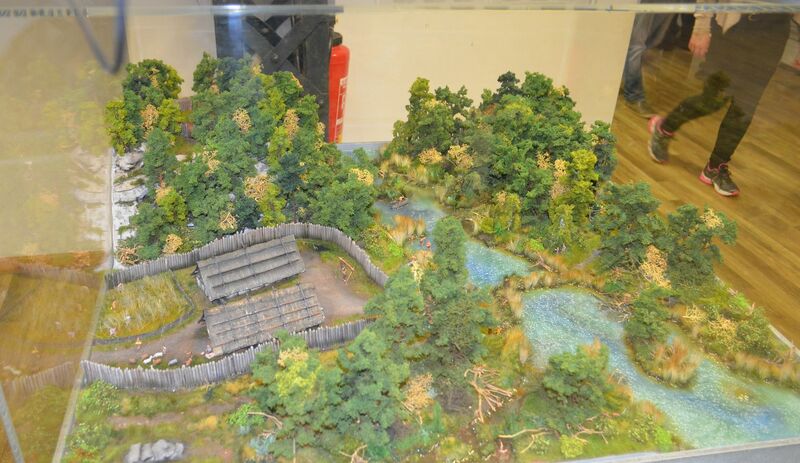 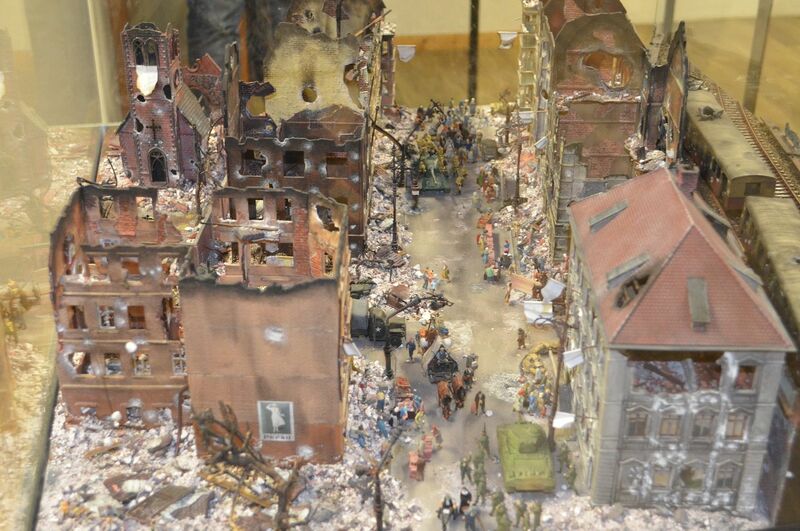 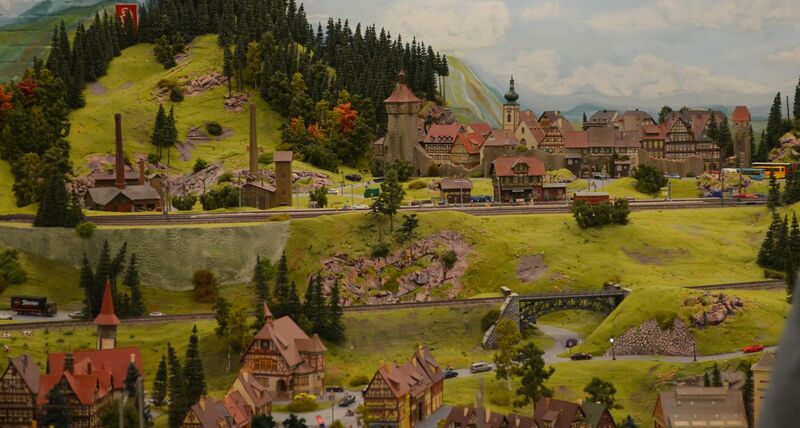 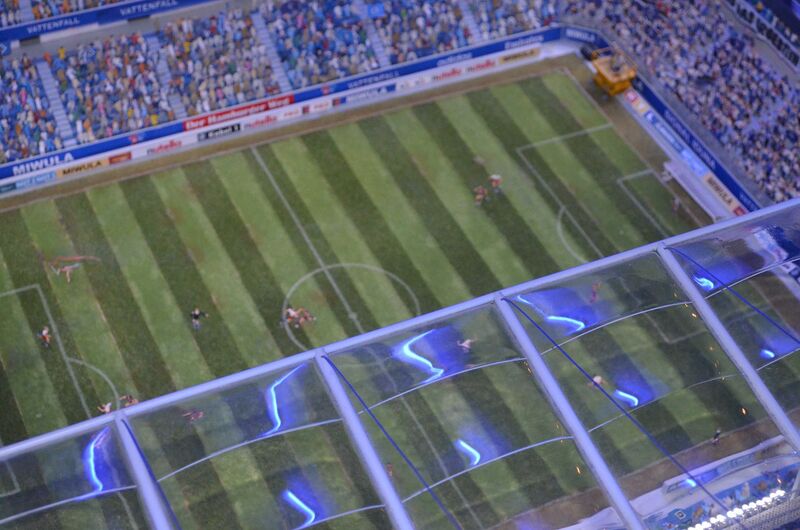 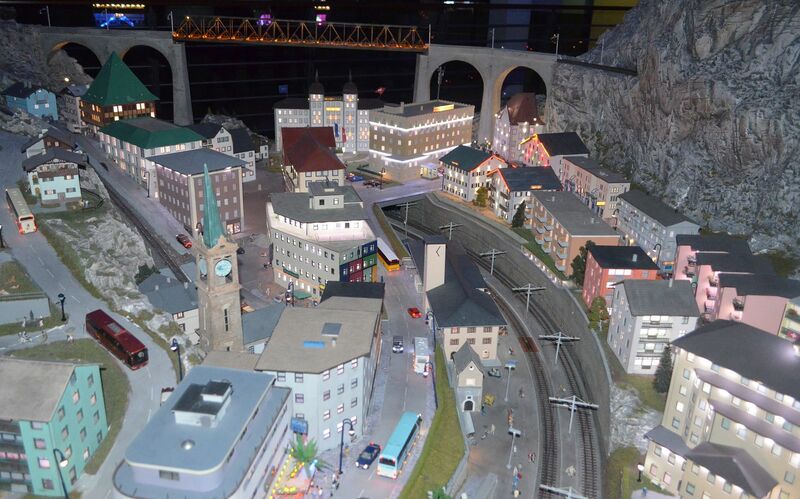 Spread over 4 large halls in a warehouse the display features trains, mountains, car (over 8000), little people (400,000 !) 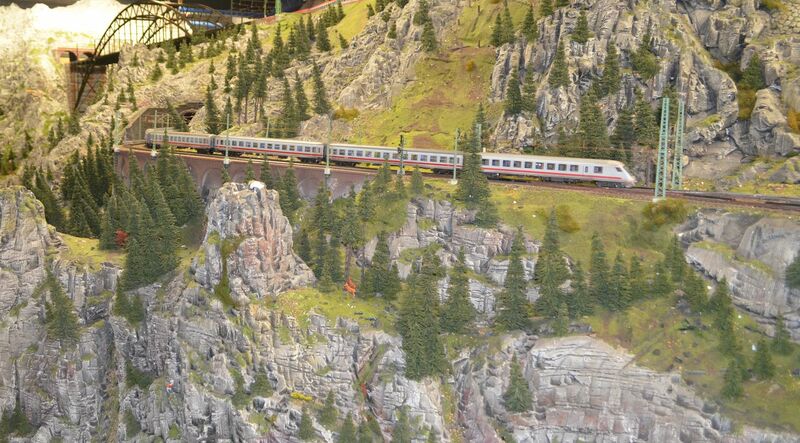 across a variety of vistas. 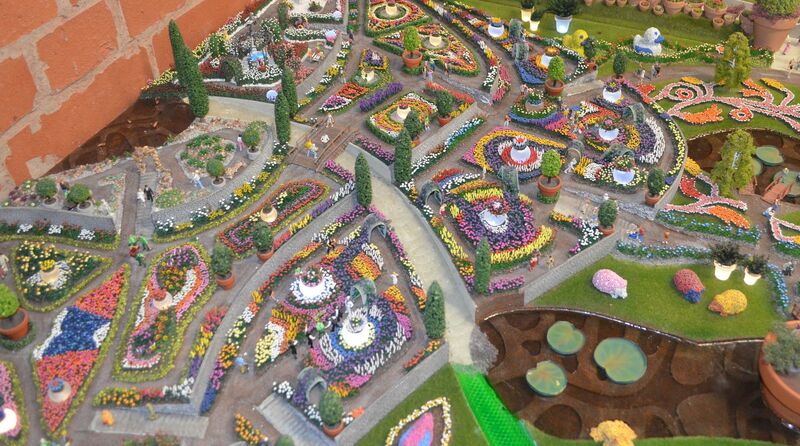 Its the sort of place you can go back to again and again without getting bored. 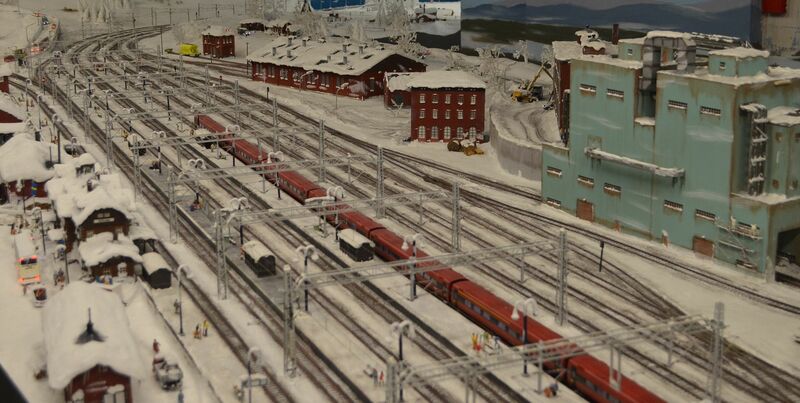 I believe everything is HO OO scale? 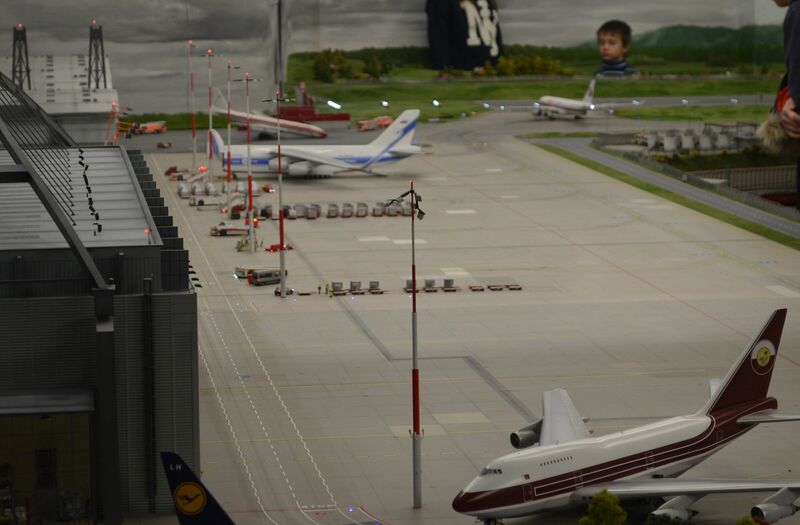 The Russians and American meet.. 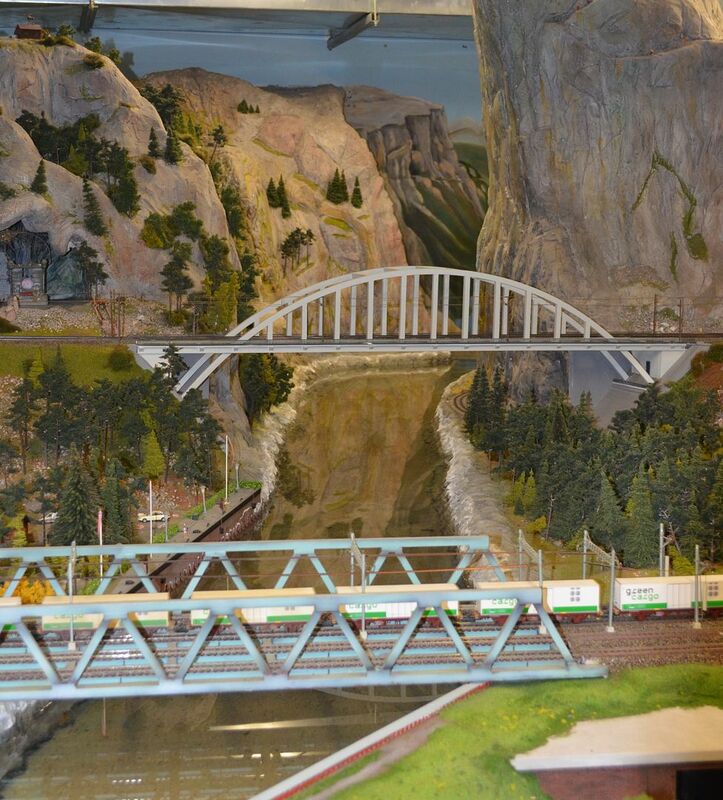 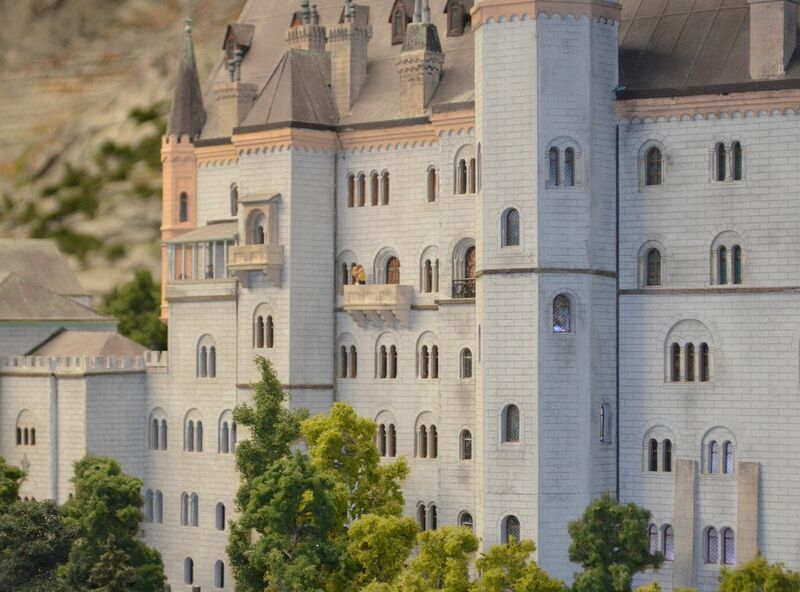 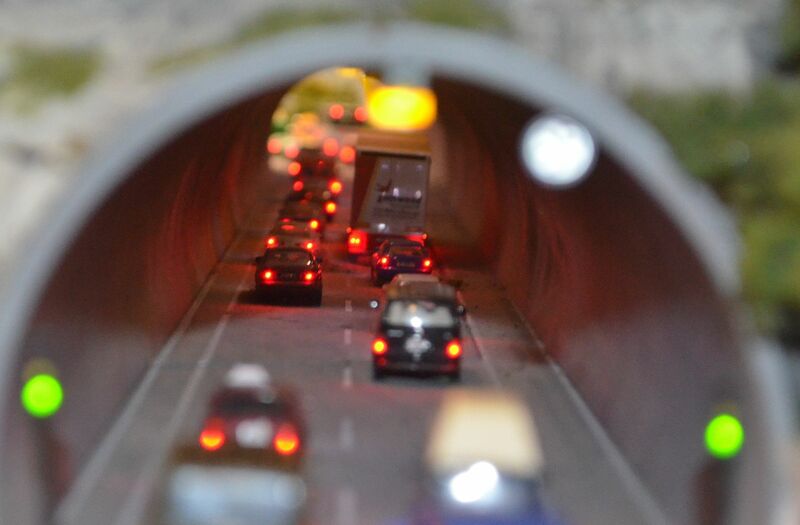 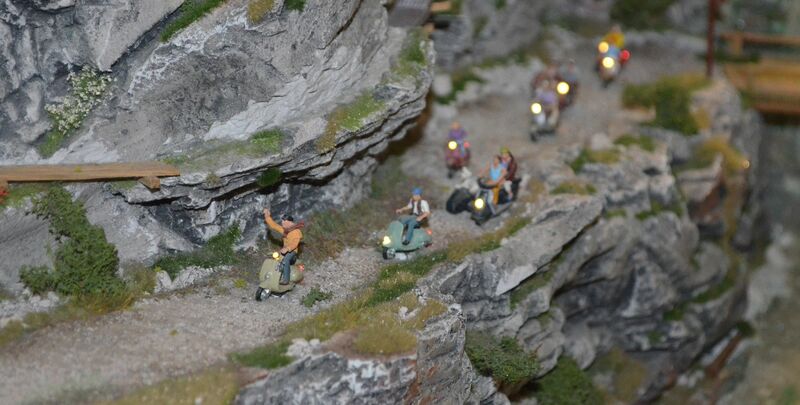 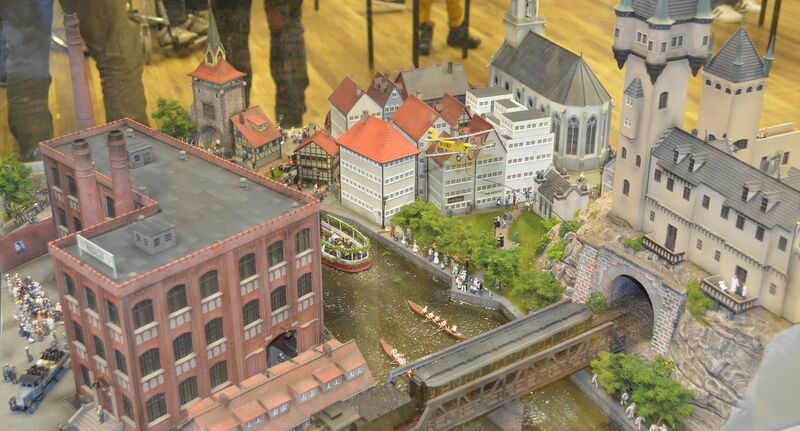 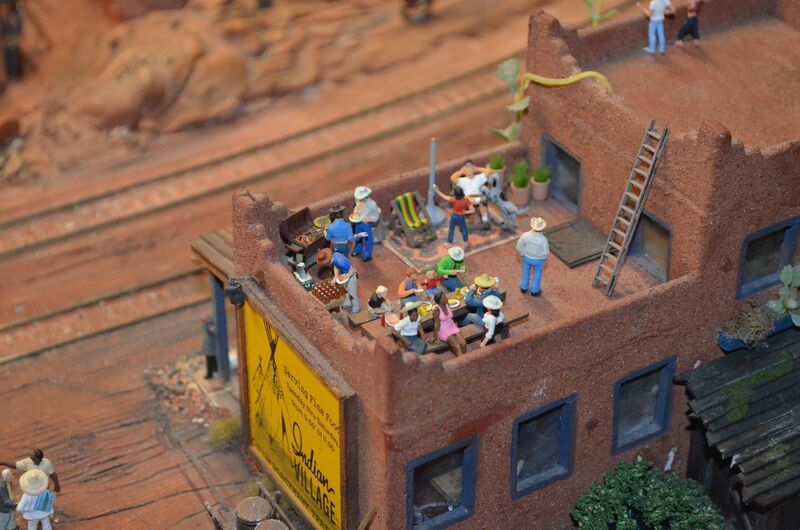 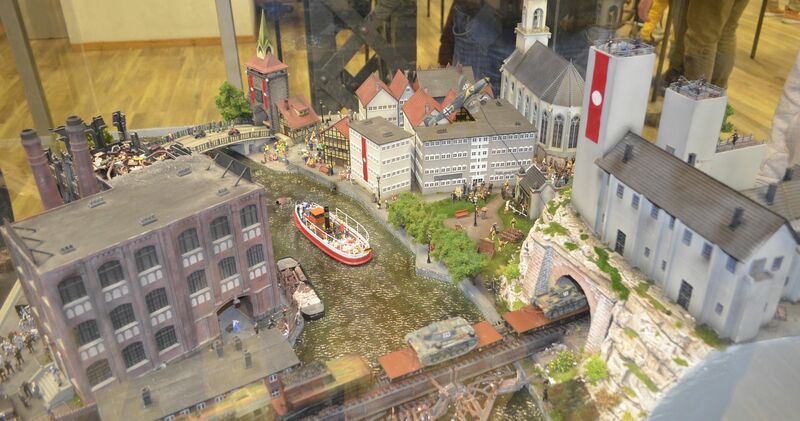 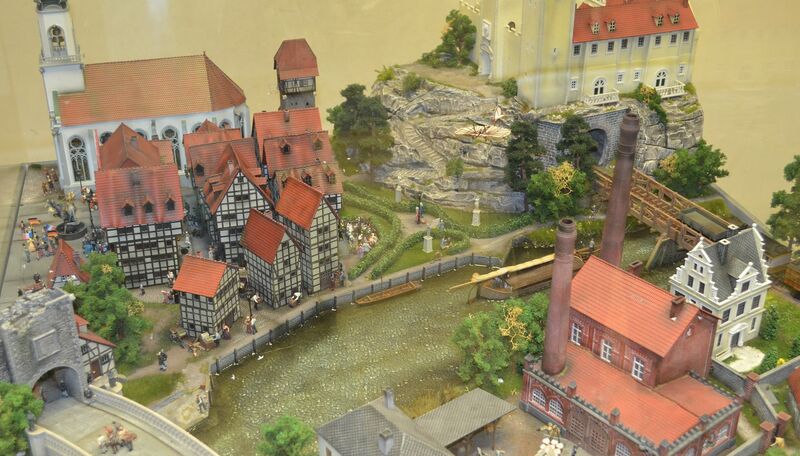 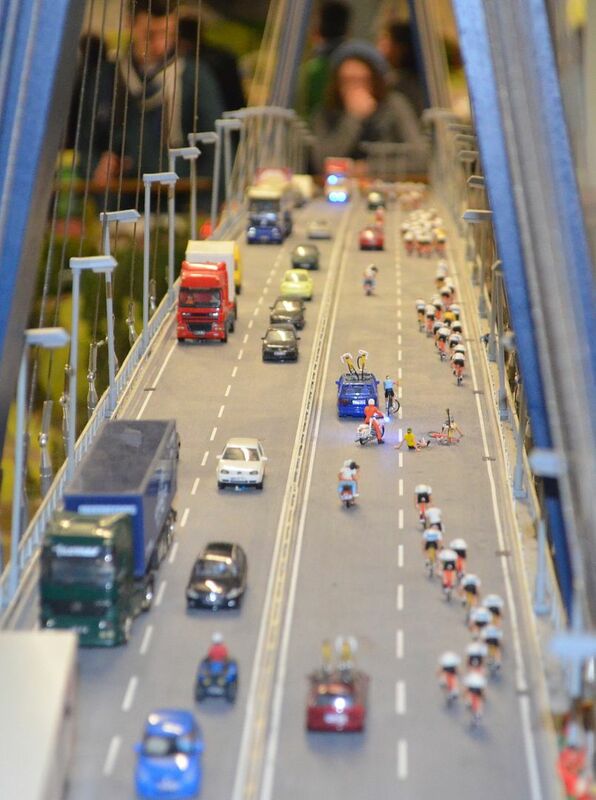 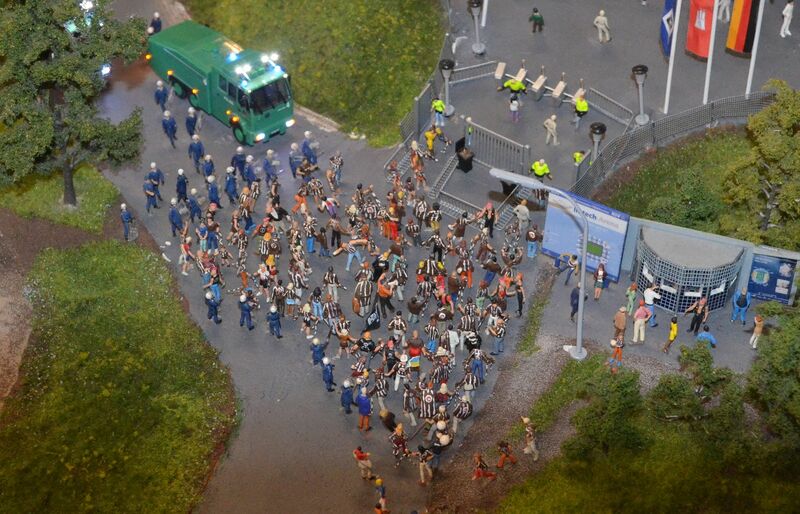 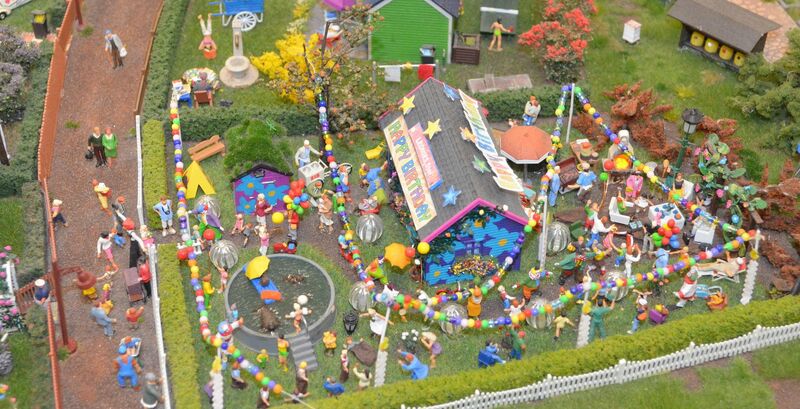 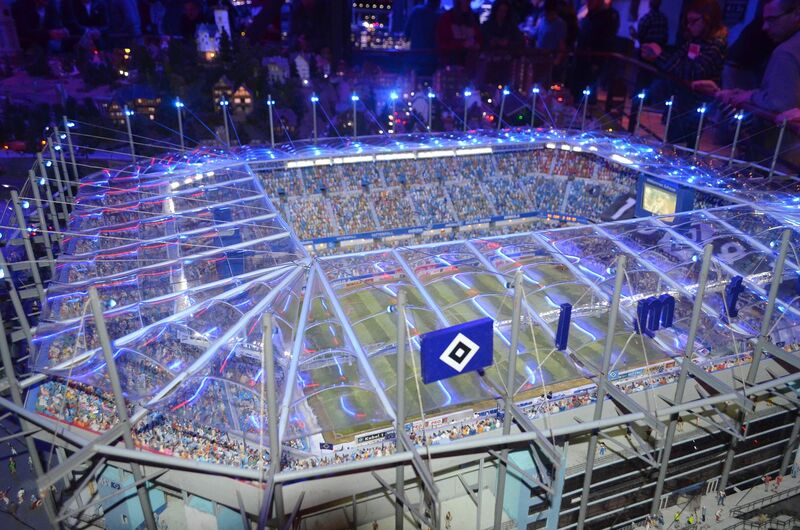 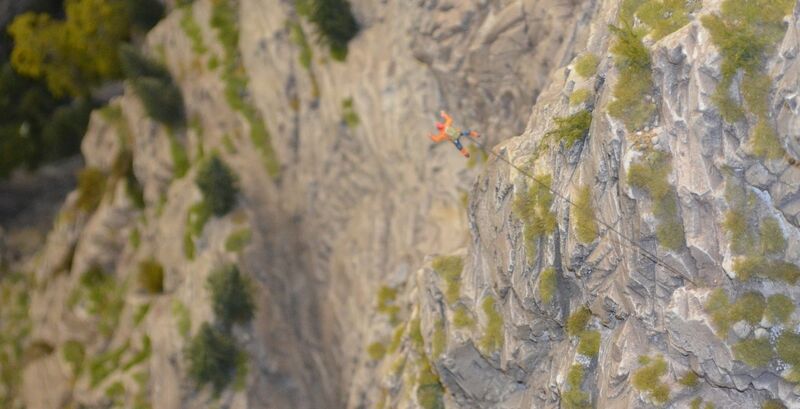 If you ever go to Hamburg - be sure to visit the Miniature Wonderland !! 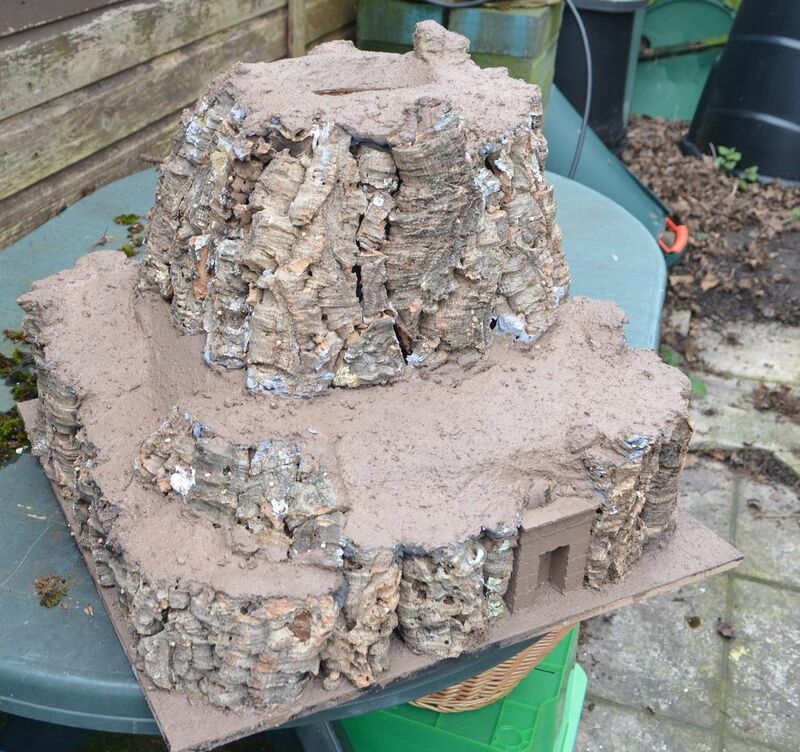 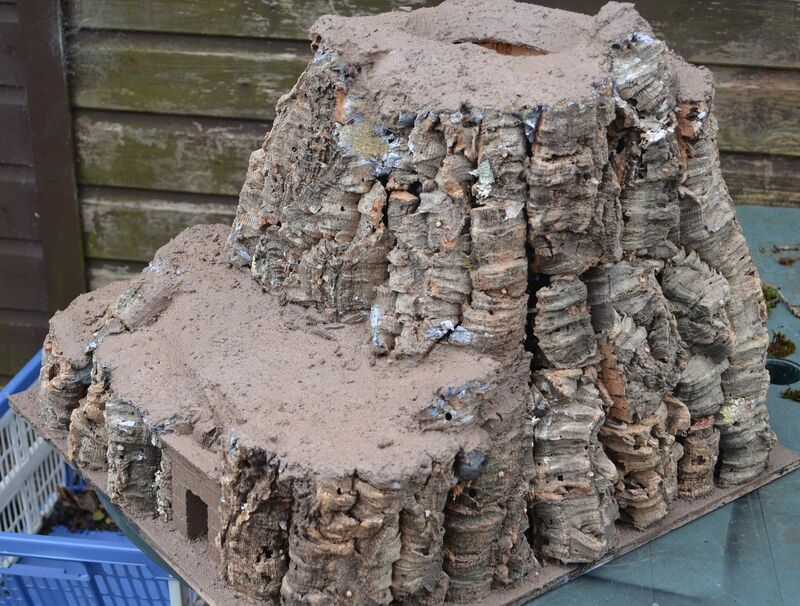 Once all the filler was dry I added the ground mix - sand, ballast etc and covered all these areas in my base paint used for the desert boards. 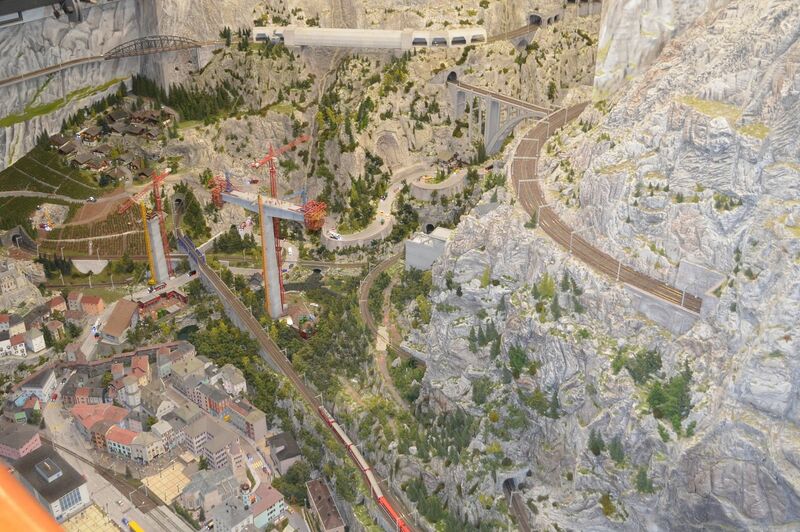 The plan will be to tie this piece into the others hence the same paint scheme. 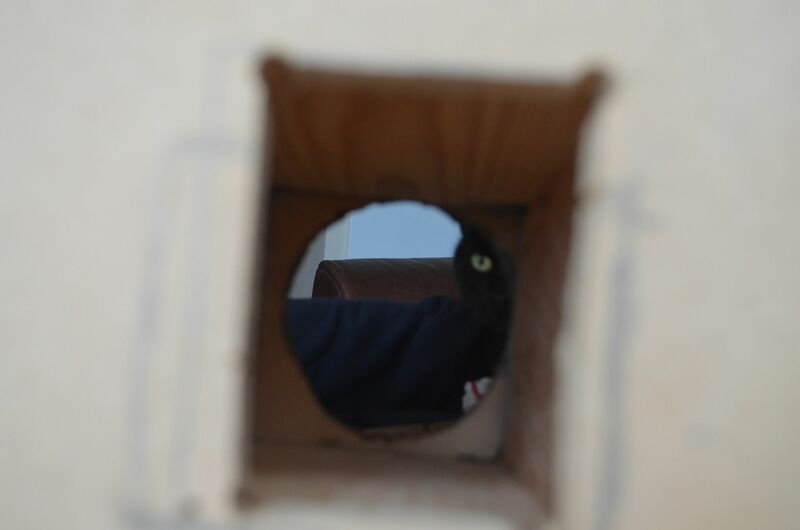 I then had to cut a hole in the bottom - you can see my little helper ! 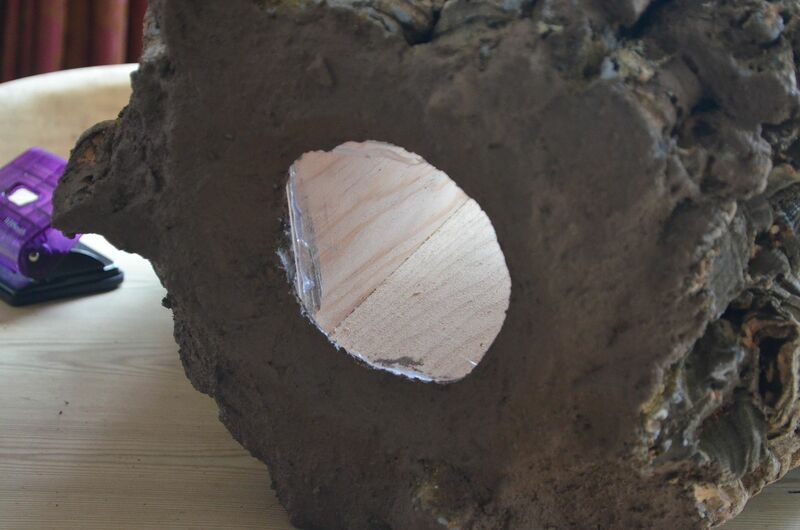 This was then covered in mastic (the tube says it will dry clear but I am not so sure). 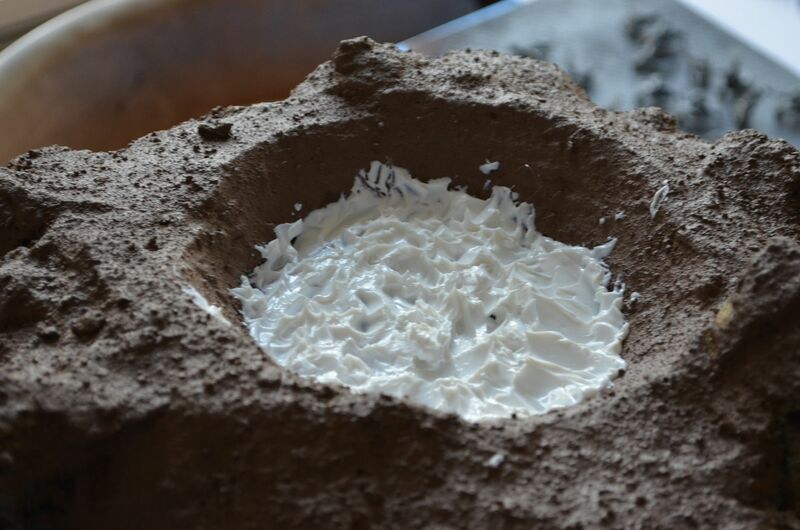 The mastic was teased into irregular waves, peaks and troughs.